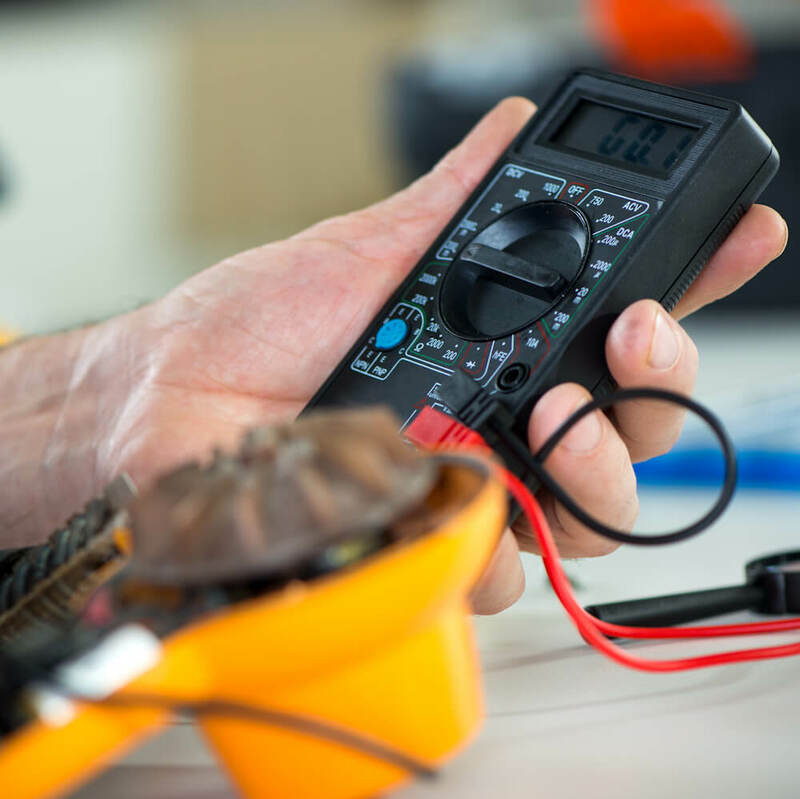 At MD Installations (West Midlands) Ltd we use our years of experience in the industry to provide the highest quality of electrical services to our customers. We provide a wide range of services, including LED lighting design, Portable Appliance Testing (PAT), data installations, and more. One of our specialties as a business is the installation of both commercial and industrial fire and security systems. Our team can work with you from design to competition, providing a complete service for our customers. We are dedicated members of CHAS and are NICEIC approved, giving you the reassurance you need that all work is carried out according to health and safety guidelines. Our services are always offered at competitive and affordable prices, making sure that you get the services you need without breaking the bank. An LED (Light-Emitting Diode) refers to an electric light which is often used in lighting fixtures. The fitting produces light from a light-emitting diode and often has a longer lifespan and efficiency than other forms of lighting. In contrast to other lightbulbs which take time to warm up, LED lights produce a bright light as soon as they are turned on. The lighting form has developed significantly in more recent years and is now available in more affordable price ranges. The light fitting works in a different way to traditional bulbs, using a different technique of producing light output. A traditional incandescent bulb passes electricity through a thin wire filament, producing light. However, LEDs work by using a semi-conductor to emit energy once an electrical current is passed through it. There are several benefits to LED lighting and it is worth knowing about these. One of the biggest benefits to this type of lighting is its energy efficiency. Around 90% less energy is used by these, saving you a substantial amount of money in energy bill costs. Whilst the initial purchase cost may be higher, it is easily returned by the long-term cost saving. To put the benefits of LED into perspective, it is estimated that CFL lights (Compact Fluorescent Lamps) use between 60 and 80% less than incandescent and halogens use around 20 to 30% less. At MD Installations (West Midlands) Ltd we are available to provide both the design and installation of LED lighting in both commercial and industrial settings. To find out more about LED lighting and the benefits you may achieve, please call us on 01922 416175. Trying to work out where a fault is within your cabling does not need to be a stressful or difficult task. With a professional and fully trained electrician on your side, you can be sure to find the fault at hand easily. Damages to cables can happen to any form of wiring and in turn impact the resistance within the cable. If these faults are not fixed, then voltage breakdown may occur. There are different types of fault that can happen, including screening, phase, sheath, moisture, and disruptions. Screening faults usually happen when contact between a screen and conductor generates a differing resistance. Phase faults take place when contact between several conductors is generating resistance that varies and sheath faults refer to damage caused to the cable sheath. It is easy for water to get into cabling, and if this happens then it may create contact with the conductors and result in a fault. Finally, disruptions are a combination of parallel and series resistances and are caused normally by a wire break. Any work carried out by our team will always be in accordance with Health and Safety Executive guidelines, keeping you and our workers safe. Protecting your devices from the risk of surges helps to prevent major issues from developing. Using a device or appliance to protect your electrics is a great way of ensuring no surges cause faults with expensive pieces of equipment. These work by attempting to limit the voltage supplied to a device by either shorting or blocking unwanted voltages. Without surge protection, you risk ruining your electrical devices. If a lighting storm happens or an unexpected electrical surge occurs, then you want to make sure that you have the right protection in place. SPDs (Surge Protection Devices) work to prevent any excess voltages from damaging equipment, saving you money and time. Our electricians are on hand to provide surge protection for your devices. With a population of around 143,000, the new town of Telford is named after the famous civil engineer Thomas Telford. The location is the largest town in Shropshire and is still growing. While in the area, there are plenty of things to do including a visit to Wonderland, Telford Town Park, or the Exotic Zoo. There is also a shopping centre where you can find large brands supplying clothing, homeware, beauty and more. Our electricians are on hand to provide a wide range of commercial and industrial electrics, including cabling, LED lighting installation, and surge protection. When it comes to electrics, you always want to make sure that they are all in full working order. We use our years of experience in the industry to provide the highest standard of services to our customers. It is important to us that any health and safety regulations are followed and our team work hard to ensure this. For more about our services, please give us a call on 01922 416175 or fill in our online contact form.